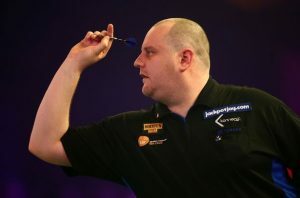 North-East rising star Ryan Joyce will make his PDC European Tour debut tomorrow afternoon in Zwolle, Netherlands. This is the sixth European Tour event of the year with a £25,000 up for grabs for the winner. To qualify, Ryan defeated John Bowles and Mark Wilson 6-1, before eliminating Robbie Green by 6 legs to 2 to qualify for European Tour 6. The ‘Bit of Bully’ player will face Michael Rosenauer first game on tomorrow afternoon at 12pm GMT with the winner facing Mervyn King on Saturday afternoon. You can watch the match live via PDC.TV or selected betting websites. Full info and draw available HERE.